Home / Archive by category "Mobile-Focused Events"
As secure enterprise mobility becomes an increasingly relevant business objective, IT executives and professionals are looking for ideas, insights and best practices on finding a better balance between employee preferences and company priorities. Therefore, it’s no surprise that we experienced such an uptick in attendance at Tech Orchard’s second annual Mobile Brew. More than 110 attendees from top Kansas City companies joined us at Boulevard Brewery for networking and a valuable panel discussion on mobility essentials. The event kicked off as Mike McRoberts, Business Development Expert & Former Sprint Executive, shared a thought-provoking story about how IT teams can leverage the benefits of expanding their use of cloud services, especially for mobile initiatives. Then, Tech Orchard CEO Phil Poje addressed a panel of speakers about the challenges and opportunities around enterprise mobility management (EMM) and mobile threat prevention (MTP) in the workplace. Panelists included Keith Shaw, manager of security engineering and operations for H&R Block Inc.; Cora Belfiore, director of IT operations at Winston & Strawn LLP; James Robertson, owner of Core BT Solutions; and Randy Crenshaw, vice president of mobile technology at Tech Orchard. KC Business Journal’s tech beat writer Leslie Collins captured some of the most valuable panel commentary in her article “Tech Orchard panel: How employers can address mobile security issues.” Attendees in the audience were able to ask questions and generate additional conversation about how they can better incorporate a comprehensive mobile strategy moving forward. Immediately following the conclusion of the panel, employees from our sponsor companies took the stage to share a little about their businesses. Sponsors included VMware, Check Point, Trabon, UPS, BalancePoint, Centriq Training, Netrality Properties, Network Technology Partners (NTP), Quark Studios and Source Inc. Wireless Solutions. Door prizes were given away to six lucky winners while everyone in attendance enjoyed tasty appetizers and local craft brews while networking with colleagues and peers. With no sign of mobility adoption slowing across the enterprise, we’re already looking ahead to expanding our panel and attendance at our third annual Mobile Brew in the fall of 2017. If you had the opportunity to attend and have any outstanding questions that weren’t answered either by our panel or during your networking, please don’t hesitate to call or email Phil, Randy or Mila. If you weren’t able to attend, be sure to read our KC Business Journal coverage and reach out for assistance with any enterprise mobility needs you may have or expect to arise within your organization in the days ahead. For complete photo coverage, check out our Facebook album with pictures of the event, attendees, prize winners, panelists and more! Those of us at TechOrchard just returned from the AirWatch Connect conference in Atlanta, and we are very excited about the developments on the horizon that were discussed at this event. In addition to recent releases, AirWatch will continue to create new tools and features that will be beneficial to us as we work to help organizations of all sizes design, deploy and support a comprehensive mobility management plan. The folks at Solutions Review did a great job of outlining the key announcements of the week in this article. 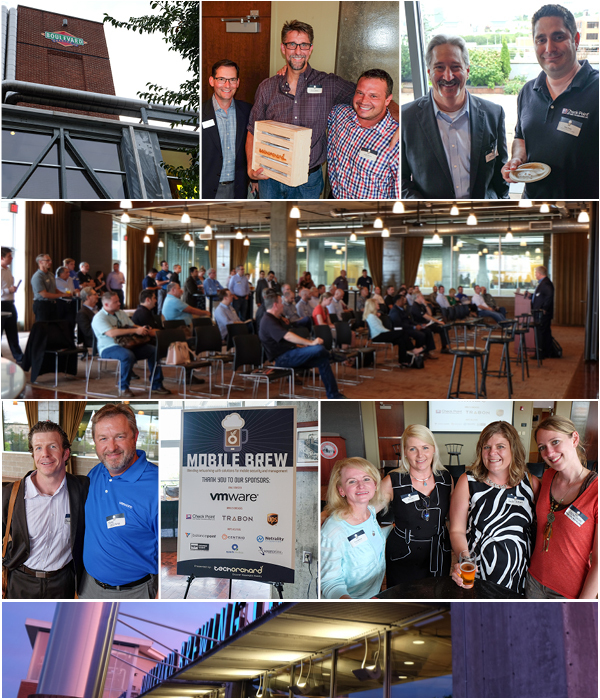 On Thursday evening, September 10, TechOrchard held its first annual Mobile Brew event to rave reviews. Approximately 65 attendees from top Kansas City companies such as Husch Blackwell, KCP&L, Black & Veatch and WaterOne joined us at Boulevard Brewery to share insights, tips and trends regarding enterprise mobility. Today marks the kickoff of this year’s ILTACON conference! ILTACON is a four-day educational conference that draws on the personal and collective strengths of professionals working in technology within law firms and legal departments. ILTACON provides these professionals with a forum to share what works, what doesn’t, and the tools to face challenges now and in the future. Former director of the Federal Bureau of Investigation (FBI) Robert Mueller gave an ominous warning about the state of cybersecurity back in early 2012 when he stated, “There are only two types of companies; those that have been hacked and those that will be.” With recent news that’s hit the headlines about data breaches at major retailers like Target, Home Depot and Neiman Marcus, and even financial companies like JPMorgan Chase, it’s clear that no industry is immune to potential attacks. If your organization retains proprietary and/or sensitive customer information, the data and your reputation are at risk! 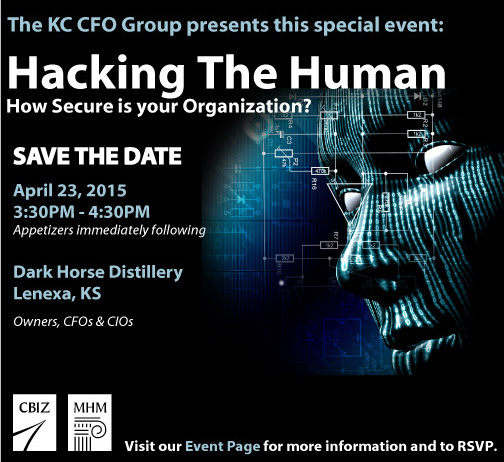 To register, you must RSVP by April 13. Simply use this link to sign up today!